Jamie Young deftly integrates the substance and the subject of her paintings. 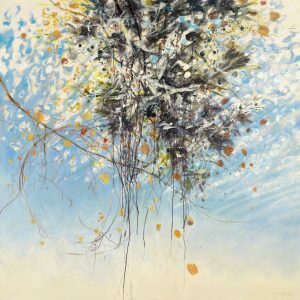 With dense fields of swooping brushstrokes and glancing lines, she articulates abundant, tumultuous, encroaching vegetation. 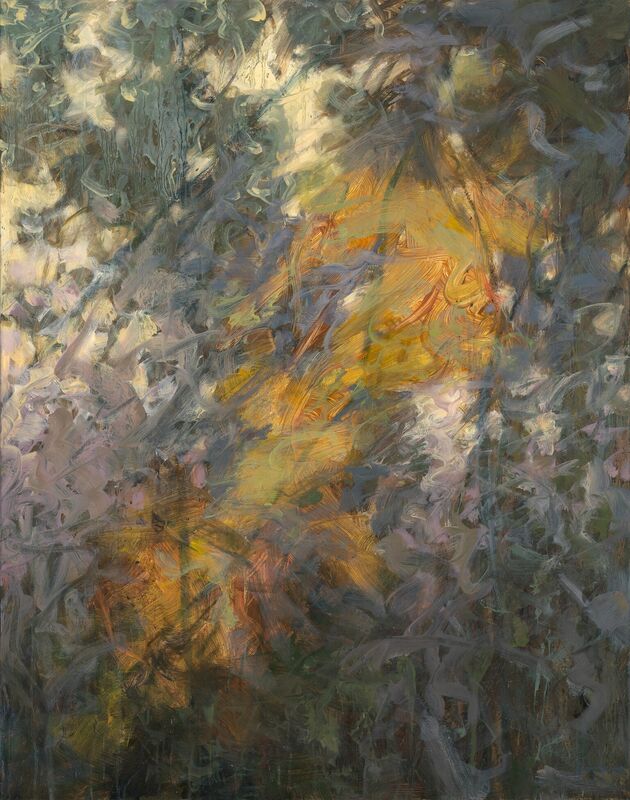 Balancing the muscularity of her line and form, she delicately renders fleeting atmospheric effects with luminous veils of pale color that conjure sky and light beyond the canopy of branches and vines. The paintings are alive with sensation. The sights, smells, and feel of their settings – time of day, weather conditions, season, even temperature and the dampness of the air – become almost palpable. 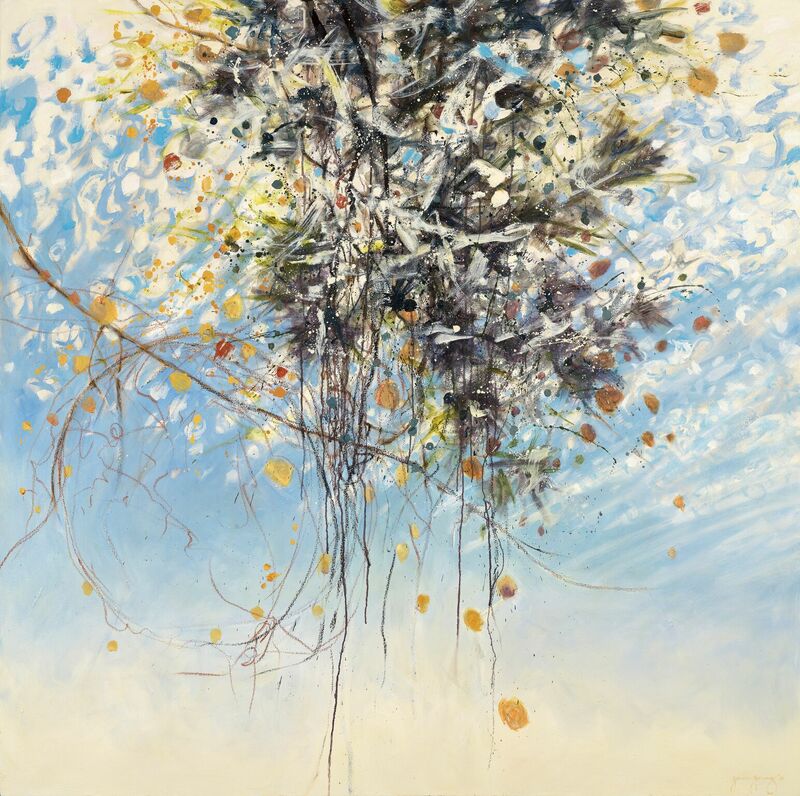 Young’s works are virtuosic compositions, symphonic in the scale and complexity.